Powerhouse's long, successful career in the IWA came to a sudden halt last cycle when he was viciously attacked by six members of the DDT stable after regaining the CFL World Heavyweight title. He had just defeated DDT's Rex Richards to win the belt for the second time when the onslaught occurred. He was eventually rescued by his NME stablemates -- the Ultimate Headcrusher and Ice Man -- but not before considerable damage was inflicted upon the Champ, which included Richards wrapping a steel chair around the Champ's ankle while "Pretty Boy" Paul Pratt leaped off the turnbuckles and onto the chair. After being rushed to a local medical facility in Tokyo, Powerhouse was treated for multiple lacerations, a severe concussion, a broken ankle, and slight vertebrae damage to the lower back. Upon the conclusion of his treatments, the doctors determined that the Champ would be lucky to walk again, let alone wrestle, thereby forcing his retirement. Powerhouse competed in the IWA for over a decade under the leadership of Tim Zaegel from Virginia, and won several league titles along the way, including those from legendary leagues such as the HAL, TDL, and BBL. As he now joins his former stablemate, Chris Lance, in the IWA Hall of Fame, he leaves behind him his long-time partners in the Ultimate Headcrusher and Ice Man, both of whom have vowed revenge against Rex Richards, the Windy City Warrior, and "Pretty Boy" Paul Pratt. Be sure to keep up-to-date with the upcoming CFL bulletins to see how this one plays out! HMW: Iceman is retiring after spending his entire IWA career in the WSL. He amassed a record of 1,382-362-52, with 12 stars and $2,495,200 in earnings. His manager, Sir Strong, will receive an engraved plaque to mark the occasion! AH: Birthday Boy is our final retiree this time. No longer honoring the SGL with his presence, his final stats were 1,054-113-26, with $1,421,700 in his imaginary bank account. And so it seems it is finally manager Nick Sinagra of New York's turn to receive a gift -- a plaque which commemorates his wrestler's time in the ring! Daniel Petty of Ohio won his choice of 100 free matches or a real wrestling belt and 50 free matches by leading ZOMBI: "Fantastic" Frank Furter (DAL) from the Gold Federation title all the way to the game's top prize! Frank's strategy was worth a perfect 501 points. In the battle for this $60,000 belt, 4REICH: Adrenaline (OSL) had to use point flow to defeat fellow TV champion CTI: "The Thief" Gambit (IIL), since both had 500 points. Adrenaline's manager, Keith A. Maple of Ohio, can now decide between an engraved plaque and 25 free matches as his reward! Adding up the values of hold positions 1, 2, 3, 5, 8, 11, 12, and 15 in the strategy of every league battle royal winner led us straight to Æ: Gravedigger (XWL). His high score of 273 (499 points when counting all 15 holds) meant that manager Anthony Rodriguez of Alabama was entitled to an engraved plaque or 25 free matches! The battle royals used hold positions 1, 4, 6, 7, 9, 10, 13, and 14. Mike Moore of North Carolina formulated an unstoppable 500-point strategy for his wrestler, wWw/NSL: Buda Von Winnershong (OSL), and his efforts have earned him this title's prize of 10 free matches! NME: Leon "Chicken & Waffles" Wallace (ECL) took home this $25,000 purse, thanks to some coaching from manager Kevin Burr of Virginia! Leon had a strategy total of 499 points. Garnering even more respect for the Death, Destruction, Terror stable was DDT: Stone Cold Steve Austin (HWL), who used his 500-pointer to pocket this $25,000 check under the watchful eye of Bob Dippy from Pennsylvania. Nice work! 4REICH: ill Bill emerged as the top-scoring champion from our six most active leagues! His manager, Anthony Dudick of New York, wins 10 free matches. Should another wrestler from the NBL win the title this year, his manager will receive fifteen free matches! It all came down to point flow when the Neapolitan Nightmare (BTL) struggled to pin both California Executioner (BGL) and JCW: D.J. Steve (SCL) in the quest for this $25,000 title. In the end, Jacob Phillips of Kentucky helped his wrestler gain the upper hand, so Jacob gained 10 free matches! Congratulations! The Iron Federation title went to DDT: Stone Cold Steve Austin (HWL), who received a 500-point strategy from Bob Dippy of Pennsylvania. The Steel Federation champion was E$T: Eddie Colon (CCL), managed by Zach Gargus of Parts Unknown. He had to edge out CTI: "Repulsive Romantic" Raine Thorn (IIL), as each had 501 points. 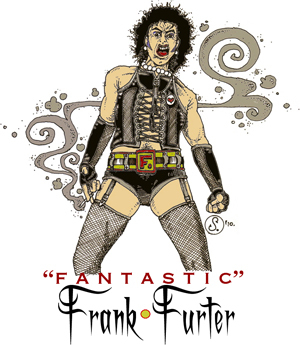 Eventual World Heavyweight Champion Frank Furter wore the Gold Federation strap temporarily, thanks to his 501-pointer. "The Loose Cannon" Joe Cassidy from Scotland let the masked savage known as CTI/LEGIT: Madskull #1 (RCL) off his leash long enough to rack up a body count that earned him the Diamond Federation title! After knocking them out cold and pinning their shoulders to the mat for the win, Madskull #1 dragged the seemingly lifeless bodies of his fallen competition out of the ring, and none of them has been seen or heard from since. (He had a 500 total.) PSY: Dr. Snakemouth (MEL) won the Bronze Federation's $40,000 prize, and his manager, Garett Guzman of Kansas, gladly accepted its 25 free matches. John Gabriel of Pennsylvania won the free matches in the Jade Federation with a little help from CTI: Kurt Angle (WWL). Michael Eaves of Mississippi won the choice between an engraved plaque and 15 free matches by leading 4REICH: Nasty Nicole Richie (MDL) to the Ladies' World Championship over CTI: Missy the Vampire (FFL)! Each had 499 points. The Ladies' National title remained in Mike Carver of Pennsylvania's possession. This time he had CTI: Star Laur (FFL) edge out his previous winner, CTI: Baby Ash (FFL), along with 4REICH: Brandy Dirt (FFL), NME: Dominant Factor Malice (MDL), PAIN: Godzooky (MDL), CTI: Buffy the Vampire (FFL), plus previous U.S. Six-woman winners LOD/NB: "The Voluptuous One" Eden Mor and "European Knockout" Nadine Jansen (FFL). Tim Zaegel of Virginia coached NME: Dominant Factors Malice and Alimony to point flow victory over reigning Ladies' Tag-team champions 4REICH: Brandy Dirt and "Sweet-As-Sugar" Stephanie Diamond (FFL), but Stephanie picked up the Queen of the Ring accolade, making it three crowns in a row for Anthony Dudick of New York! Anthony traded in his World tag and six-woman belts for their U.S. counterparts last cycle. He had Stephanie and "Sick-As-*&#!" Alexis Diamond team with "Thick 'N' Juicy" Jayden Diamond instead of Brandy Dirt, and they won the U.S. Six-woman rather than World Six-woman straps. He also took home the Ladies' U.S. tag honors with 4REICH: "Toothless Redneck" Raylene and "Trailer Park" Tracy Jewels (LLL) after the Dominant Factors stole his World thunder. He even hogged the singles U.S. scene by helping 4REICH: "The Black Widow" Brianna Trueblood (VVL) edge LOD/NB: Milena "Double J" Velba (FFL) for her title! NME: Carol the Bar Maid, Drunk Debbie Stevens, and Tipsy Tammy Stevens (VVL) walked away with the World Six-woman championships. Chad LaBombard of Michigan manages all three. Garett Guzman of Kansas won his choice of an engraved plaque or 15 free matches when his team of PSY: Blunt Nuggsley and Black Cop (TDL) achieved victory over all our other league tag champs last cycle! Jonathon Aries and Jay Cutler also had a 516-point team total, but lost by point flow. PSY: Spliff Longo and the Killing Joke (TDL) had to resort to point flow to win against DDT: "Two Finger" Jeff and Ricky Ross "The Big Boss" (DAL), since both teams scored perfect 516-point totals. The winners are owned by Garett Guzman of Kansas! Mike Dorsett of New York's name stayed on these titles when PSY: Classy Chris, Dangerous Derek, and the Executioner Eric Domino (MEL) made their opponents fall like dominos! Mike will receive his choice of an engraved plaque or 15 free matches for the win. The top six teams listed had 521 points. Mike's previous champions from the DDL, as well as the previous winners from the MSL, remained in the top ten! PSY: Johnny 23 Baca, Diamond Dogg, and Tito Sanchez (DDL) took the $20,000 U.S. Six-man belts out of the U.S.! It was later revealed that Mattias Karlsson of Sweden was the one calling the shots. He had helped them to edge out NME: Jaxx Justice, Rusty Riggs, and T-Bone (MEL); PSY: Killer Krzyzewski, John Slaughter, and Manslaughter Murphy (HSL); plus NME: Steve Striker, J.R. Striker, and One Man Asylum (NFL). Each team had 521 points. The most active leagues for the Holidays cycle, going by the number of matches, appear below. The Unknown Wrestler League held onto the top spot! Managers in the New Blood League can choose to take two matches for $1 next cycle, since their active wrestlers had the highest average strategy total out of all 10 leagues. The ASL and RSL were each within a point of gaining the honor. Entire site contents copyright 2010 Worlds Unlimited, Inc. All rights reserved.